It’s 1948 and Pacific Electric car no. 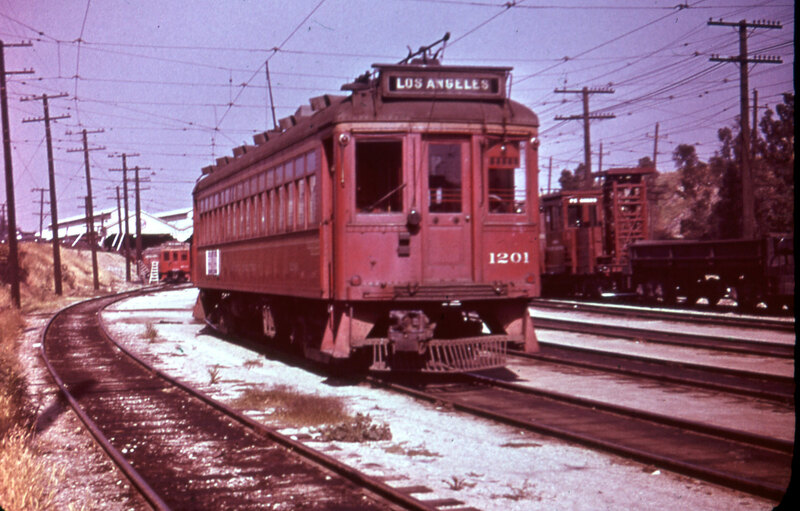 1201 is captured at Macy Street Yard. Note the PE tower car in the background.